I’ve been interested in the Port Charlotte ‘Heavily Peated’ by Bruichladdich for quite some time so it was nice to get it as a Christmas present. Although the original Port Charlotte distillery closed in 1929 the buildings still exist and have been used by Bruichladdich as warehousing. In 2007 Bruichladdich announced they were bringing the Port Charlotte distillery back to life and shipped over the stills from the closed lowlands Inverleven distillery. We could see new releases from the Port Charlotte stills very soon. What might cause a bit of confusion in the future is that Bruichladdich have used ‘Port Charlotte’ as a brand name for some of their single malt such as this ‘Heavily Peated’. The new distillery will also be called ‘Port Charlotte’. Perhaps they’ll use a special brand name for the new Port Charlotte whisky to avoid confusion. The average score and comments on Whiskybase are a little less grandiose than in the Whisky Bible. Having tried the Gold I would agree with a member of Whiskybase who describes it as an entry-level single malt. 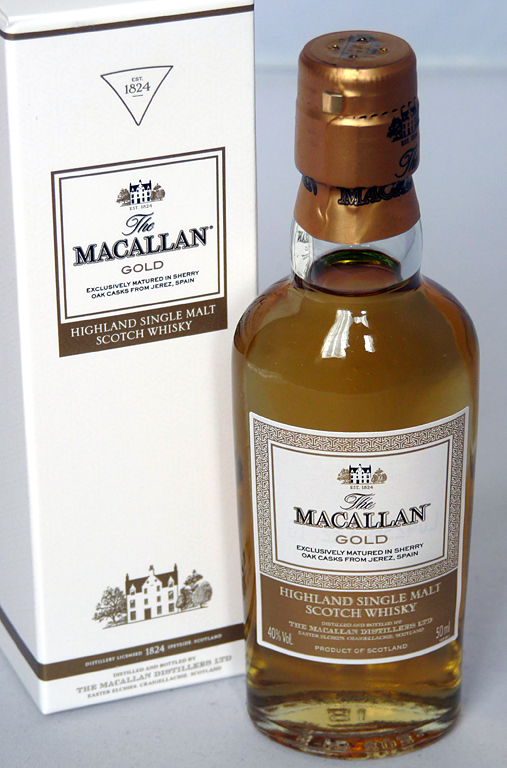 If you’re after a good Speysider at a reasonable price then the Macallan ‘Gold’ is certainly a contender. But it’s a bit like getting a pair of tartan socks for Christmas – it’s OK, definitely warming, certainly Scottish but nothing to write home about. Combine Jim Murray’s mark with that of Ralfy, who rarely gives a score in the 90s, and you’ve clearly got an excellent whisky in the AnCnoc. Ratings can be confusing. When Ralfy reviewed this 12yo back in 2009, the Whisky Bible 2009 rated this bottle at 91/100 and Ralfy 88/100. But the bible was actually based on whisky tasted in 2008. In 2013 Jim Murray, in his Whisky Bible, drops this 12yo down to 78/100 and says he hopes the fall from grace is due to freak casks. 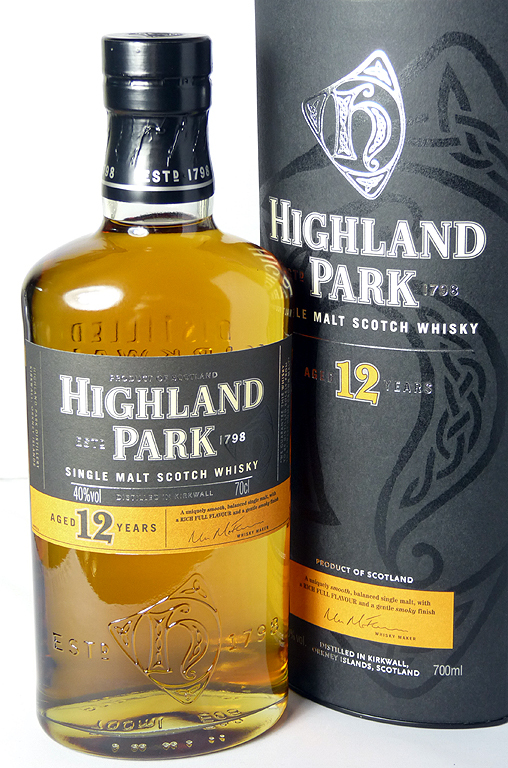 He goes on to say that the Highland Park 12yo is one of his favourite whiskies of all time. But I got this bottle in 2013, where as his review was based on a bottle from 2012. I’m just hoping the whisky used for this 12yo in 2013 was an improvement on the 2012 batch! As if by magic my copy of the Whisky Bible 2014 arrived this morning – woo0-hoo! 🙂 And the entry for this 12yo is, drum roll please, still 78/100 with the same comment as the 2013 bible! Now, either the whisky hasn’t changed, which might be possible, or the author has been a bit lazy here. I have to wonder how much of the bible is simply copied forward year-upon-year. I suppose you could say the same about most dictionaries but whisky changes more frequently than words. 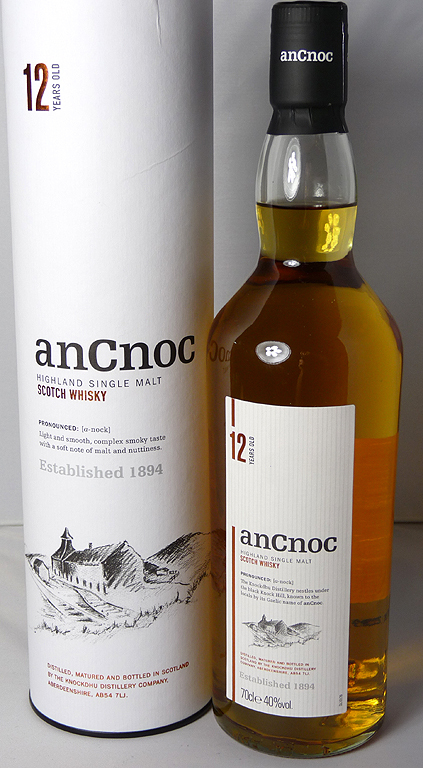 I’m yet to try this 12yo but I’m tempted now to track down an older bottle, pre 2012, to have as a comparison. I bet I end up loving this version because it will still have the Highland Park flavours, which are delicious! Gifts from many years ago. One bottle remains unopened but another is being gradually drained. 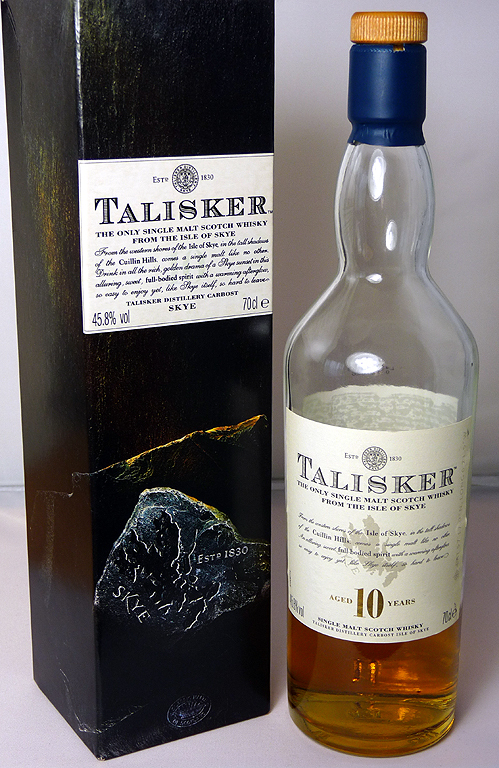 I’ve included Ralfy’s first review of the Talisker 10yo done in 2009 because it’s closer to the age of the bottles I have. He reviews it again here in 2013 where he down-grades it to 86/100 proving that versions of whiskies do vary from release to release, year to year, like wine depending on how good the summer was for the grapes. 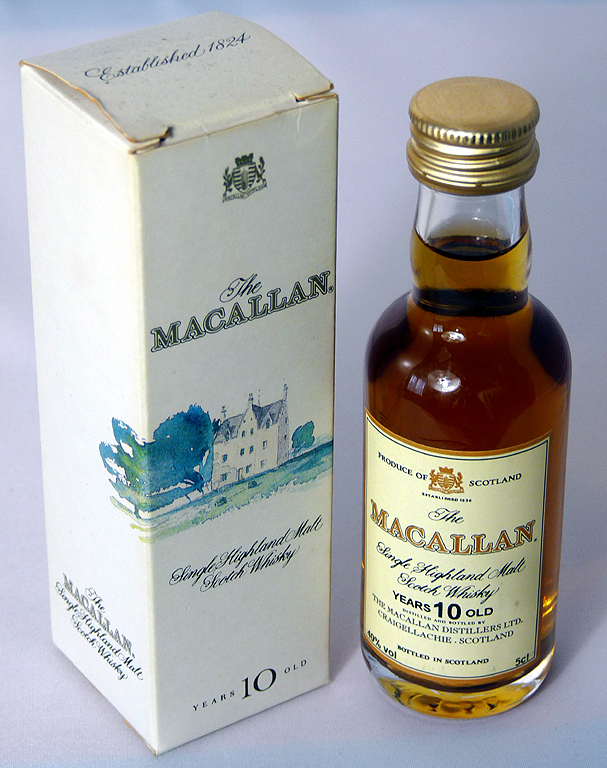 This version pre-dates the introduction of saying ‘sherry oak’ or ‘fine oak’ and comes from a time when it was plain and simply “the 10-year-old” Macallan. Sadly it’s only a miniature so I wont be swapping it for an Aston Martin 20 years from now. I might as well drink it then! Another gift. Could well be over 10+ years old. Another one with “please finish me!” written all over it. Both of these 35cl bottles were received as gifts over the years. One of them isn’t looking as full now, having been enjoyed a few days ago. 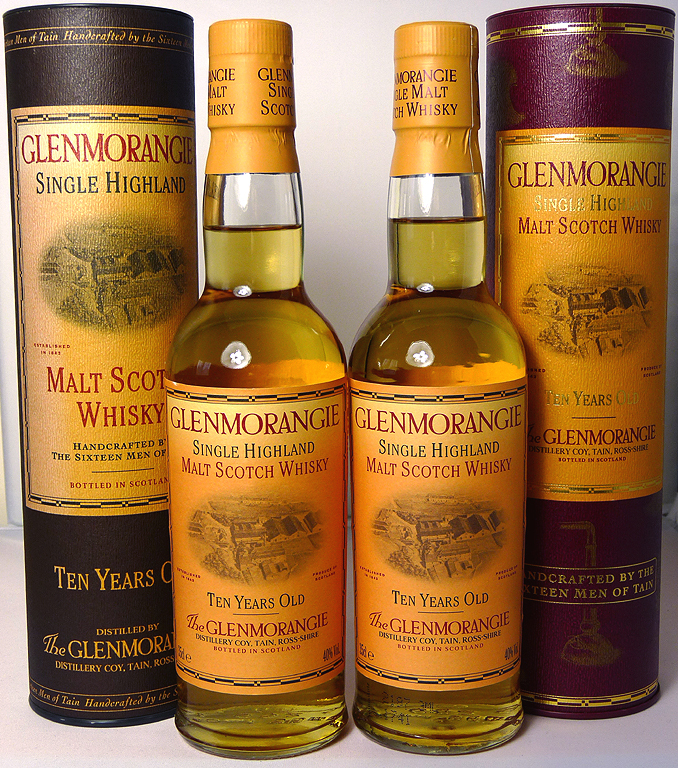 I’d forgotten how much I love the fullness of the Glenmorangie flavour. A beautiful malt. Given as a gift many, many years ago. It’s probably not whisky any more but oxidised liquid with a vague brown colour. Sounds like a good excuse to drink it so I can get another Glenlivet for the collection! The Glenlivet 15yo ‘French Oak Reserve’ gets 95/100 in the Whisky Bible 2013. That’s likely to be reduced to about £30 by one or more of the supermarkets in the run up to Christmas. It’s on my wishlist!